means ‘bamboo’As with wine, tea terminology can get flowery and high-flown, but the last thing we at teanamu want is to promote any kind of tea snobbery. We just enjoy drinking tea, appreciating its look, its feel, its delectable taste, and knowing it was prepared with kindness and compassion. Through chaya teahouse, our tea school, online shop, free tastings and myriad other activities, we are spreading and sharing the pleasures of true oriental tea culture. 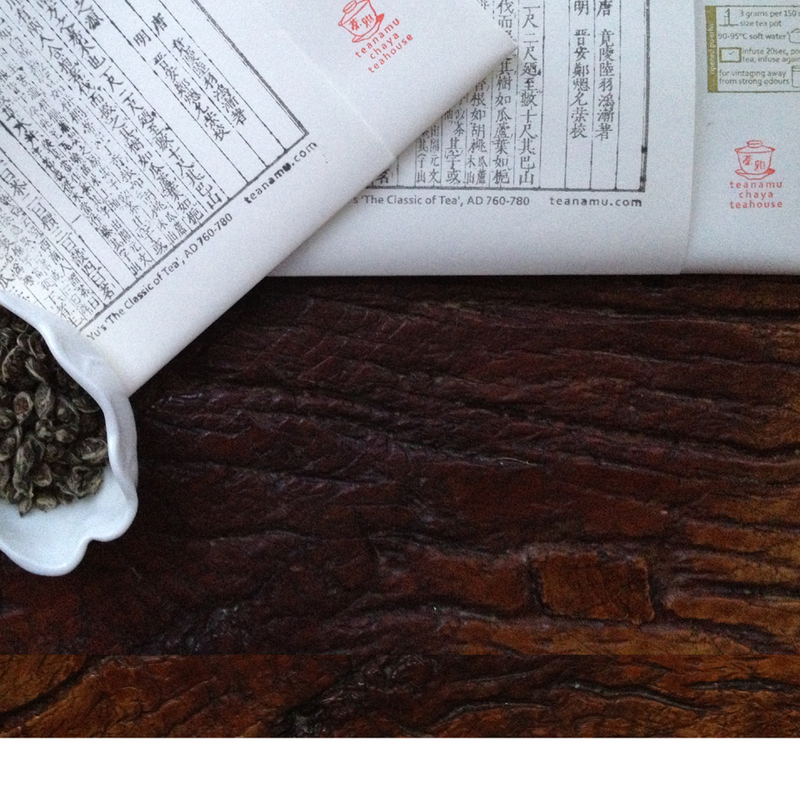 It was a passion for tea that led us to create teanamu. The word ‘teanamu’ means ‘bamboo’ which is a symbol of longevity, slow pace, strength and grace. Longevity – a sense of spaciousness with time; tea has been with us for thousands of years and every cupful of leaves will last us for hours or even a whole day, properly cared for. Slow pace – take an extra minute or two over brewing the tea, to experience being ‘in the now’. Strength – tea fortifies us in body and mind and reminds us to be patient and resilient. Grace – our service is intuitive and goes beyond obligation, when exquisite beauty, sophisticated style and exceptional taste are achieved through the most careful attention to detail. t: video profile of tea artisan Pei Wang produced by Vidya Lahoti. Brewing tea is pressing a pause button in a stressful life, taking a few minutes to be in the present, attend to the tea leaves ‘dancing’ in their tea pot and enjoy the calm, focused, meditative state that we need for social, emotional, physical, spiritual and mental wellbeing. Pei takes the tea ritual out into unlikely, busy, spaces: an unusual tea event in Trafalgar Square promoting mindfulness. Pei Wang grew up in Singapore, the grandson of immigrants from Hainan island in China. He is a Buddhist, with a heritage of Taoism and Confucianism. Food played a central role in his family, and at his mother’s knee Pei learned to honour and respect the Five Qualities of aesthetics, taste, quality, savouriness and texture. In Chinese tradition it is through the medium of food that mothers express their love, philosophers reflect on moral wellbeing and healers cure the sick. This ingrained relationship with food, this deep love of food preparation and consumption, informed Pei’s later exploration of other aspects of his complex civilization – its language, myths, literature, ideas and, not least, its culture of tea. Captivated by the profusion of wonderful flavours and styles of Chinese tea, he explored the rituals and history of tea culture, developing a profound understanding of the underlying thinking, as it relates to social order and man’s relationship to his senses. 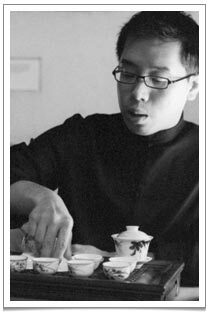 London-based tea aficionado, Pei Siong Wang, holds tea appreciation classes in Notting Hill, London. What struck me most about Pei was how his ardour for tea seemed to leap out of his well-articulated and thoughtful blogs on the subject. I spent time reading rave reviews by other foodies about his tea classes. Finally, a bilingual tea aficionado serving as a bridge between the Chinese tea market and the English-speaking world! 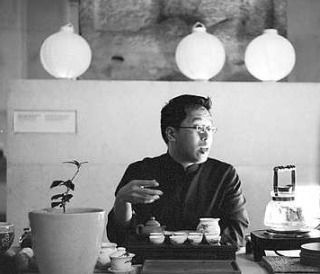 Trained as an accountant, Pei’s love affair with tea started about 12 years ago during a quest to unearth his Chinese roots. On one of his visits home, Pei signed up for a tea masterclass workshop at Purple Cane in Kuala Lumpur. Afterwards he went back to the UK and started drinking tea in a ritualistic way. “I found a few simple leaves could create such a wonderful aroma and a wide range of flavours,” says Pei, 39, during our meeting at Purple Cane Tea Restaurant. Pei was on a day trip to Kuala Lumpur while on a Chinese New Year break in Singapore. “It was nerve-racking because I see myself as a beginner, and I still do, because there’s so much to learn,” admits Pei who was then a computer programmer. “A naughty thing that I’m doing is taking classic English or French recipes and adding tea to it,” he adds. Pei likens the tea ceremony to a “pause button” we can press. a “pause button” we can press. Though Pei’s classes are designed to last two hours, the sessions are usually longer, with some stretching to seven hours. The typical tea blogs written in English tend to focus more on reviewing teas and “patting the back of various retailers”. Pei finds that “incredibly boring” and prefers to delve deeper into the various aspects of tea rituals: social, mental, spiritual, physical and emotional. Currently, he’s in the midst of completing the translation of Lu Yu’s The Classic of Tea, into a simplified English version. I ask Pei what he thinks of Rikyu’s words. “I think it comes from the concept of Zen Buddhism. One has to experience tea but stay detached. Through the process, you’ll know roughly how hot the water is, what kind of tea leaves they are, what sort of tea utensils you’re using and when you serve tea to another person – whether he likes this kind of tea or a stronger brew,” says Pei. “But for me, the ‘way of tea’ is about taking time out from the everyday hurly-burly, focusing my attention on the slow dance of tea leaves against beautiful, wafer-thin ceramic cups. “I contemplate the tea’s evolving aroma and realise that what’s important is conviviality, harmonious relationships, relaxation of mind, ease of spirit, nourishment of the soul and maintaining the grace in my heart to share my time with others,” Pei sums up.